Located on the edge of Riverside Park in New York City, The Chatsworth Building is a historic apartment building owned by HFZ Capital. The multi-family residence is a splendid representation of American architecture from the turn of the 20th century. 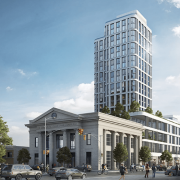 The restoration of The Chatsworth is led by interior designers at Pembrooke & Ives and Montroy Anderson and DeMarco with the intention of bringing the iconic apartment building into a new era. 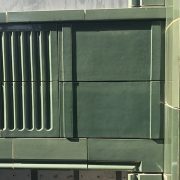 Boston Valley Terra Cotta has been working hard to recreate deteriorated elements of the building’s iconic façade, including decorative masonry and six Atlas figures on the outward facing facade. John E. Scharsmith designed The Chatsworth in 1904, enticing upper-class New Yorkers with its old world decadence and french-inspired aesthetic. The building overlooks the Hudson River and can be found on west 74th street in the Upper West Side. It stands out with its beaux-art aesthetics, defined by abundant ornamentation and a luxurious interior. In 1984, the Chatsworth was declared a landmark by the Landmarks Preservation Commission, solidifying its status as a historical building in Manhattan. 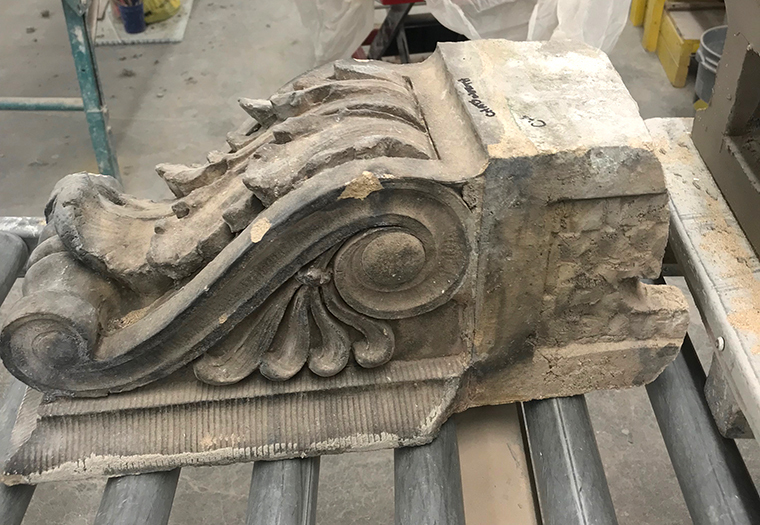 Original stonework is used as a reference in the restoration process. 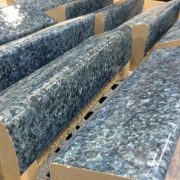 New masonry is created with molds and finished by hand. 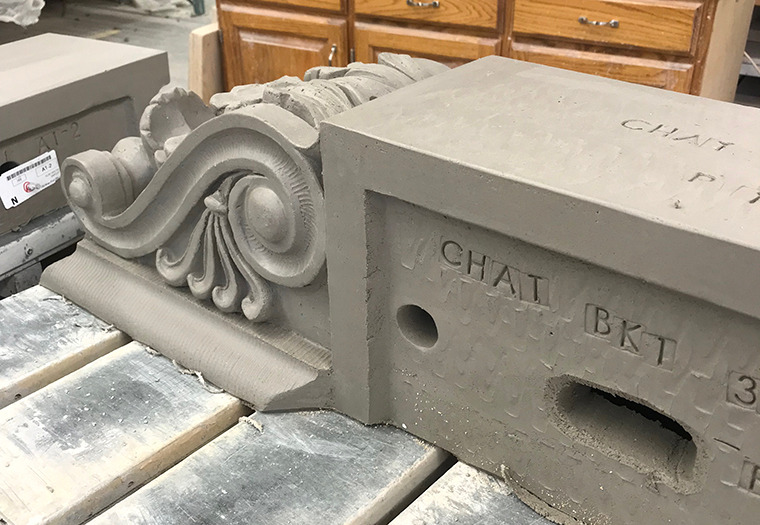 The Boston Valley team has been diligently working to manufacture replacements for broken or missing pieces on The Chatsworth. 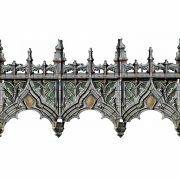 The process of creating replicas for restoration jobs begins with an initial site survey. 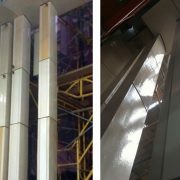 Conditions of the façade are reviewed, documented, and blocks are marked for reproduction. If possible, originals are brought back to the factory to aid in the process of duplication. 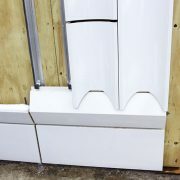 Digital renderings are utilized in the mold making process to create foam prototypes. 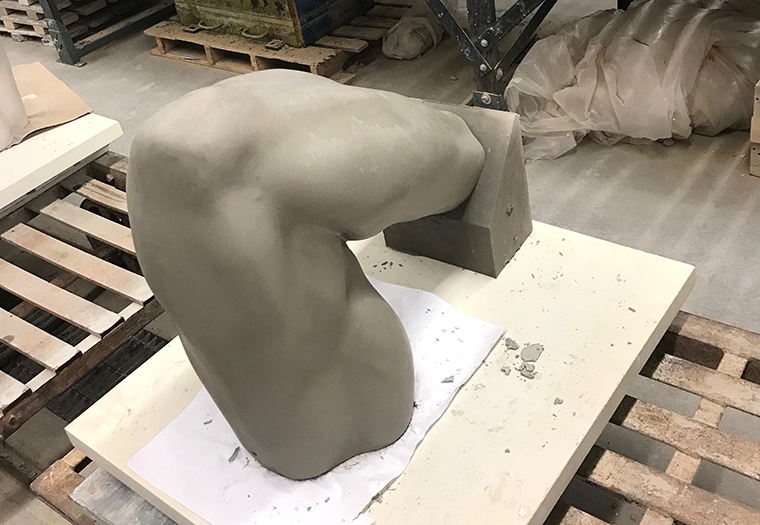 Depending on the type of block needing reproduction, different forming methods are chosen to create replicas of varying size and detail. 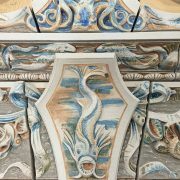 The hand press and slip cast forming methods were used to create multiple pieces while preserving the details of the original units. 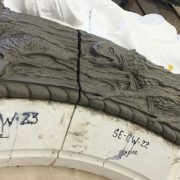 Sculptural pieces needing reproduction require an involved process with great attention to detail. At the upper portion of the façade, six atlas figures are missing arms that connect back to the spandrel. Boston Valley sculptors are versed in the human form and apply their knowledge to preserve the fine details. 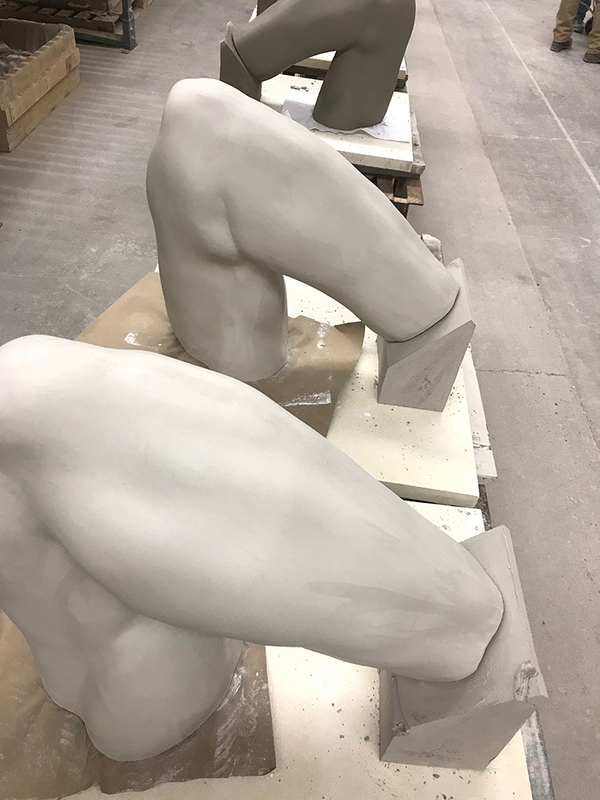 Once completed, the arms will be re-installed onto the original stonework and the six Atlas figures will once again hold up the top of the building. 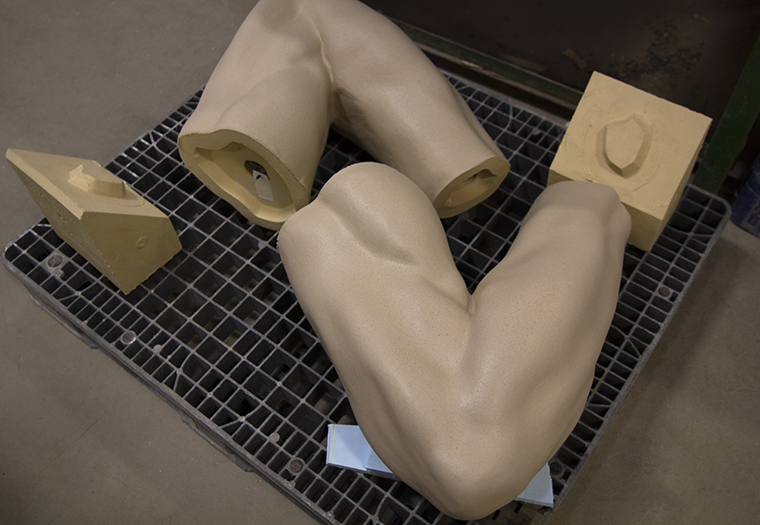 The finishing department in Boston Valley is where experienced sculptors model the human form. Great attention to detail is required to bring the sculptural elements to life.